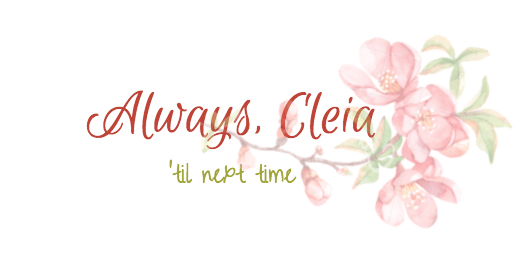 Hey everyone, welcome back to Always, Cleia. Today we’re talking about the new Kathleen Lights X ColourPop Zodiac Palette Collab which released about three weeks ago. My palette took forEVER to get to me, It finally arrived on Friday morning right before I headed out for Calgary. Naturally my review took a little longer to get up while I was travelling. I absolutely loved the Dream St. Palette which was another Kathleen Lights collab so I was pretty sure the ColourPop Zodiac Palette would be a hit. Honestly I’m not really into astrology so I won’t be talking about how any of the shades pertain to zodiac personalities. If you want to hear more about that sort of thing you can watch Kathleen Light’s Zodiac Collection Reveal video Here. The ColourPop Zodiac Palette retails for $18USD and contains 12 x 0.85g pressed powder eyeshadows in a mix of matte & metallic finishes. This works out to $1.5 per eyeshadow or $1.76 per gram. The Zodiac Palette contains a mirror which has upped the regular cardboard packaging palettes from $16 to $18. Each shade was handpicked by Kathleen Lights to portray the signs of the zodiac and their element. The PR box for the Zodiac collection was absolutely stunning. I unfortunately couldn’t afford to pick up the whole collection so I settled for the Zodiac palette. The outer cardboard packaging is black with zodiac constellations printed in gold. The palette itself is blue with gold collections. Kathleen said in her collection video that she couldn’t decide between blue or black so she went with both. I personally like the black better. Many people have been saying on Instagram that they wish the palette didn’t contain a mirror because it ups the price. I felt that way at first but then I realized how much easier it was to travel with this palette. I always like to do my makeup near a natural light source so while I was away I sat by an open window and used the mirror in the palette. It was pretty handy! The shade names are not only printed on the back of the Zodiac palette, they’re also printed under each individual shade. The signs of the Zodiac are named “The” Gemini, “The” Aquarius, etc. Because Kathleen Lights already had an Aquarius Lippie Stix and ColourPop doesn’t like to have two products with the same name. I saw that the ColourPop Zodiac Palette got a lot of flack for the colour story. Many YouTubers have said that they only tolerate the curation of the palette because KL had to be specific in making the Zodiac Signs match their temperament and element sign. It’s a themed eyeshadow palette and because the Zodiac Signs are in order across the palette it makes sense that the shades aren’t as artfully arranged as a non-themed palette. Another touch is that each vertical row contains three shades in each element sign in the order of Fire, Earth, Air & Water. MY TAKE however, is that while some of the brown transition shades may not be the most interesting I love that she included them. An eyeshadow palette needs transition shades to function as a whole without dipping into other palettes. I found the purple, blue and teal shades to be very unique but I can still create a look that isn’t crazy when I pull in the more “normal” looking shades. The Capricon contains some redundant glitter, I always tap out my brush when working with a matte black so the glitter flecks just disperse into the air. Regardless, it makes a fantastic liner shade. This eyeshadow palette was almost everything I expected from Kathleen Lights after trying the Dream St. Palette. Most of the shadows are smooth and blend like butter on my eyes with minimal fallout but there are a few that gave me trouble. The Aquarius is hard to build. Even KL acknowledges this in her Zodiac Reveal Video. This shade needs some patience if you want to build it up to a full wash of colour. On the bright side there isn’t as much kick up from this shade because it’s not as pigmented as other shades in the ColourPop Zodiac Palette. Another trouble shade is The Pisces. If you apply it dry it will not last. I used a setting spray and it still faded by the end of the day. I might need to pick up fix + for this shade because my regular setting spray didn’t lock it on my eyes well enough. Other than those two shades the ColourPop Zodiac Palette has some really great metallics that apply beautifully and aren’t at all hard to work with. The Gemini is stunning, as are The Cancer and The Scorpio. I’m doing something different with my Zodiac Palette Review. Normally I do a Review + 3 Look video but because this is a themed palette I will be posting 4 separate themed tutorials for the Water, Air, Earth & Fire signs. These tutorials will also be available on my YouTube channel. For the time being here’s a look I created with the palette without worrying about which shades go with which signs. Most of the reviews I’ve read say the same things. I think the shades are gorgeous but I’m not into the color story as much lol. I think they’re good on their own. Wouldn’t personally buy it because I have some of those shades and I can’t really justify owning it, however, love the packaging! PS I’m a Scorpio lol. So misunderstood lmao. That’s completely fair! I feel like with so many palettes on the market after a while shades start to get repetitive. I need to take a break from buying eyeshadow palettes now, I have way too many Lol! So true.. I was excited at first for the new Too Faced Tutti Fruiti collection but when I looked at the palettes they both contained shades I already had. Oh yeah, I saw it but it didn’t excite me LOL. OMG I love that you are going to be doing element themed looks!!! That is so awesome. I haven’t dipped into this palette yet, but I’m a bit nervous about pisces. Hopefully concealer will keep it on! I’ve been so excited to post them, the wildfire smoke is seriously messing with my camera lately though. I can’t get an image that isn’t super yellow. Hopefully I can get a few up next week! Is the smoke pretty bad for you in Victoria? That’s awful! It’s been around for the last two-three weeks, but just got much worse on Monday. It’s got to be a lot worse in Vancouver and the interior though so I’m counting my blessings. My brother lives in Vancouver and he’s gotten a sore throat and a cough etc. from it. Hoping for a change in wind soon! I read horoscopes sometimes but I never really take them seriously, but there are so many people that take astrology to heart so I find that interesting at least too, even if I don’t really believe in it. She did such a good job with this palette though, I love the little constellations! But yeah, I wish that shade stayed on better! Haha, omg thats so cool! I love this palette so much! 😻 I always wanted to be a Scorpio because all my favorite people are Scorpios but I’m a Pisces! We’re both water signs though, the internet tells me that Pisces and Scorpios get along really well so there must be something to that! I can totally see you wearing that Pisces shade! Just think of all the outfits you could match it too 🙂 I wish it lasted longer but I’m hoping a decent setting spray will help. I hope you win the giveaway, that would be awesome! I’m an Aquarius like Kathleen, what’s your starsign? I like the blue packaging more than the black too haha! The look you created is super pretty and I’m looking forward to your themed tutorials. Pisces is such a pretty shade, shame about it not lasting with certain setting sprays. There are so many cool colour combos you can do with this palette, and even more of you start pulling in dream st. I need to find a better spray for Pisces, its so beautiful that it kills me it didn’t last 😭 Thanks for reading! Aquarius is the water bearer so I’m fairly sure it’s a water sign 😊 or were you meaning Scorpio is a water sign? When I looked it up google says that Pisces, Scorpio and Cancer are the water signs. Aquarius is an air element sign but also a water bearer which doesn’t pertain to it’s element but rather the carrying of the water. Apparently the water represents our emotions? Amazing review!! The palette is absolutely gorgeous, I wouldn’t buy it cause I already own similar shades sadly. I am Gemini but I love The Aquarius shade, it’s so beautiful! !